that you should be reserving a table at right now. 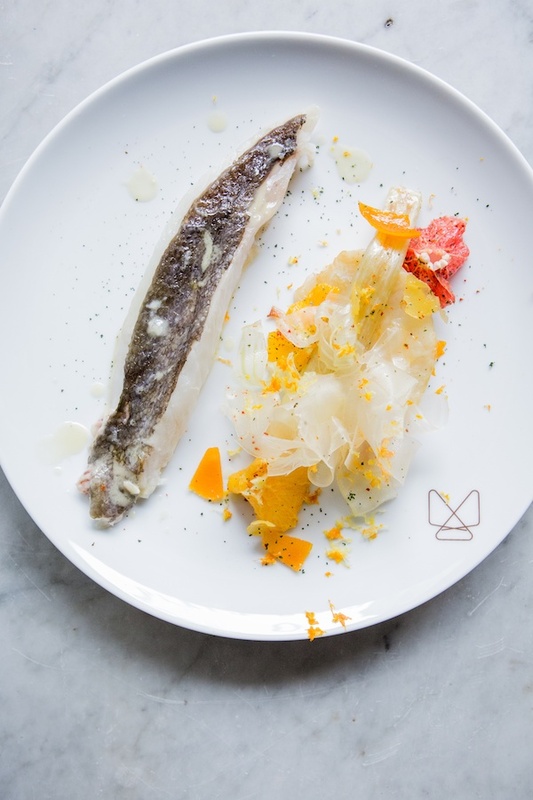 Following his time as sous chef for the likes of Jean-François Piège at Thoumieux and Giovanni Passerini at Rino, talented young Italian chef Michael Farnesi has now blazed his own trail at Dilia, a hip modern Italian bistro nestled on a picturesque square in Paris’ Menilmontant area. Known for pushing the boundaries of Italian cuisine with his creativity, Dilia offers a variety of prix fixe menus to suit your appetite – at lunchtime, opt for either 2-, 3- or 4-courses (which includes a pasta dish); and at dinnertime, either 4- or 6-courses for the complete carte blanche odyssey. Each beautifully-presented dish offers an unexpected touch – think caramelised veal ragù rigatoni with juniper berries and rosemary. At Le Grand Bain, talented British chef Edward Delling Williams (ex-Au Passage) delivers a superb menu of small plates with creative flair. 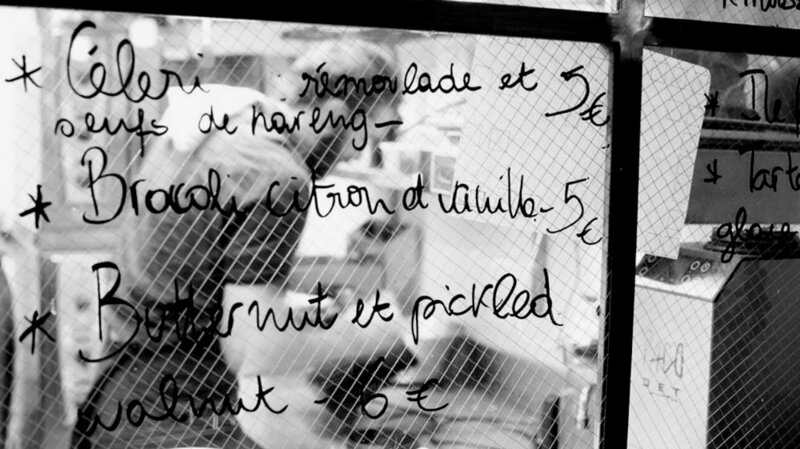 Settle into the stylish, intimate and low-lit dining space in Paris’ hip Belleville district and peruse the enticing Franco-British menu – you’ll find it displayed in handwriting on the glass wall which overlooks the kitchen. Order a medley of tapas-style dishes such as apple wood smoked oysters; vanilla-infused broccoli with bone marrow, charred leeks and lemon confit; the British comfort favourite Beef Wellington; and flambéed île flottante to finish. 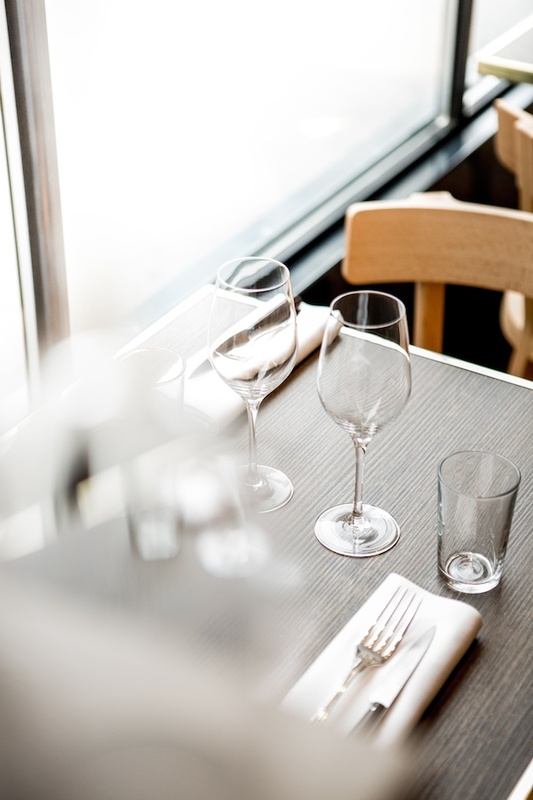 J A P A N E S E First came Abri, the smash-hit modern French bistro launched by Japanese chef Katsuaki Okiyama, which delivers one of the best value foodie dining experiences in Paris – although it’s one of the city’s hardest tables to book. Then, Abri Soba arrived in September 2016 to entice lovers of authentic soba with its handcrafted buckwheat noodles by day and its creative menu of modern Japanese sharing plates by night. At lunchtime, there’s a “2 starters + 1 soba” menu, where you can enjoy delicious bites of tamagoyaki (sweet omelet) or karaage (crispy chicken), followed by handcrafted soba noodles served in a variety of ways: either cold or hot, accompanied by either juicy layers of duck breast and crunchy grilled leeks, wild vegetable and shrimp tempura, a square of fried tofu, or a soft boiled egg... The creative à la carte dinner menu expands to include modern Japanese-style sharing plates such as clams steamed over sake, beef and eggplant ponzu, and green tea and black sesame ice cream for desserts. Ryo Morishita, the former sommelier at Abri, will welcome you to this rustic wooden jewel box straight out of Tokyo, marked by the queue of hungry soba fans waiting out the front. Make sure to sit at the Japanese-style counter to watch the chefs crafting the soba noodles by hand in the open kitchen. No reservations. M E E T O U R L O C A L E X P E R T S . . .
"My Perfect Day in Paris"